1. HOW MANY WINCHES DO YOU NEED? 2. DO YOU WANT SELF-TAILING WINCHES? 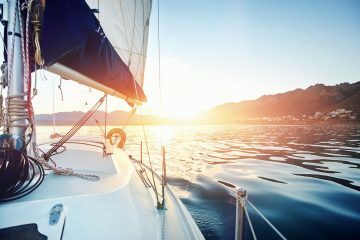 Boats are extraordinary vessels that allow us to truly connect to nature. But they live in harsh environments and many of their components have to take enormous loads just to sail. 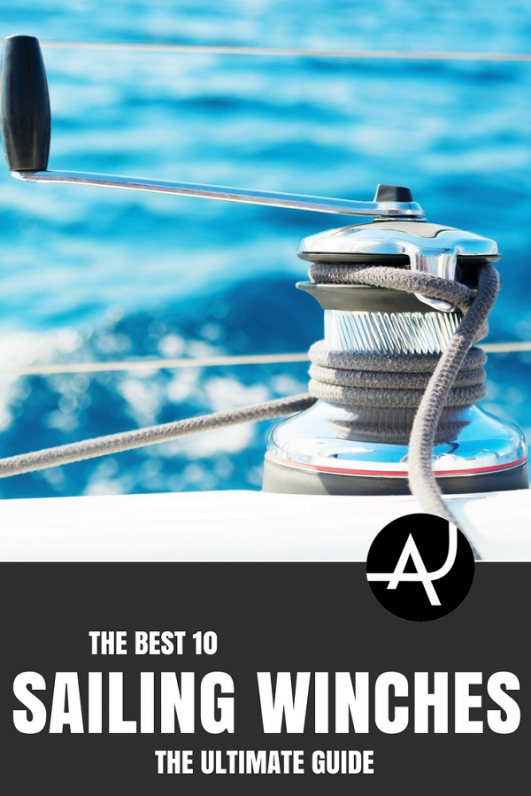 Winches are one of the key parts of a boat that take the strain so it’s important that you choose the best sailboat winches for you. 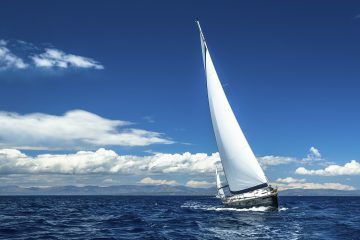 Just by closing your eyes it’s easy to feel the wind on your face as your sailboat begins to heel over. As the sails catch the wind and the boat accelerates forward, it’s time to ease the sheets a little. This is where the winch takes over. Weak, undersized or seized winches can spell disaster. If yours are getting old, it could well be time to replace them. We’ll help you sort out what’s good, what’s not, and what the difference is. 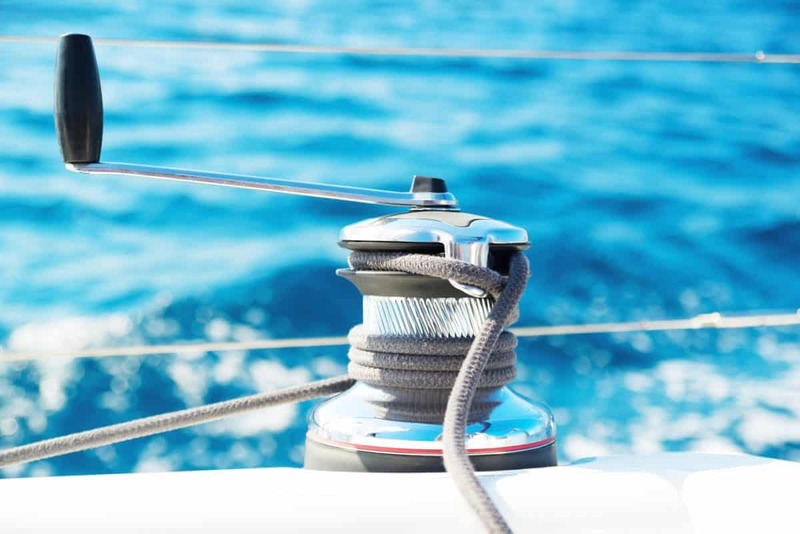 Keep reading to find your perfect sailboat winches. Well made winches can last for many decades but can need replacing for several reasons. Winch technology has moved on and you may want to replace non-self-tailing winches for self-tailing ones. Or your winches may simply be corroding or weakening through age. It’s often easy to find out how many winches you need by simply counting the existing ones on your sailboat. Rarely used winches may be in much better condition than the same age highly used winches. This allows you to retain rarely used old winches and put the saved money into buying better quality new winches. While that liveaboard boat you hung out on may have had ten winches, chances are, a small yacht will only have two to seven. Knowing how many winches you need allows you to stick to your budget more closely. You probably won’t need every winch to be the same either. 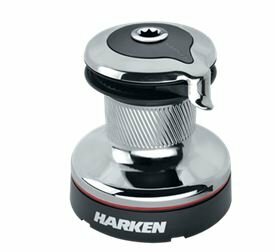 With self-tailing winches ideal for cockpit primary winches, winches on the mast often don’t need to be self-tailing. Further savings can be made from understanding what type of winches you need. For short-handed sailors, self-tailing winches are all but essential. In fact, having primary self-tailing winches regardless of your crew size will make the cruising sailboat an easy place to be. Of course, if you have a really big yacht, you can use two-way radios to give winchman instructions! On sailboats where some lines are lead back to the mast and not to the cockpit (i.e. many older sailboats), you don’t need self-tailing winches on the mast. Often you can just get away with a non-self-tailing winch and a cleat nearby. Sheet winches should ideally be self-tailing while halyard winches can be non-self-tailing. Winches give you leverage with which to pull in the sails but in particularly strong winds or racing conditions, extra leverage is required. Geared winches provide this extra leverage. With one to four gears, geared winches are also excellent for taking the load for hobby sailors, older sailors and even enthusiastic children! 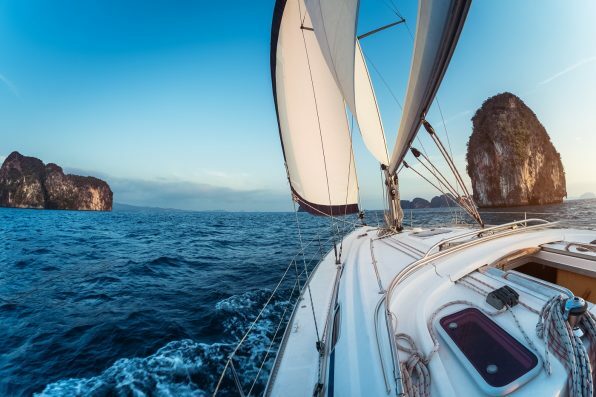 For an ordinary cruising sailboat (even those who do a spot of club racing), you’ll be choosing between one-speed and two-speed geared and non-geared winches. Three- and four-speed winches are only used by powerful racing boats. 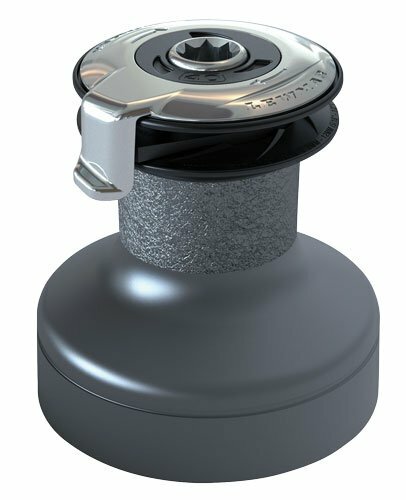 One-speed winches that aren’t geared are the cheapest type of winch and only suitable for small sailboats or as on-mast winches.Each turn of the winch handle equals one turn of the drum, making these unsuitable for large loads. Geared one-speed winches offer greater mechanical leverage and the handle is ratcheted when turning in the opposite direction. This gives you more power for less movement when cranking up that sail to windward. 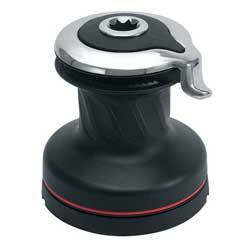 Two-speed winches allow the handle to travel in either direction at different speeds. This is great for fast winching with one speed and then switching winching direction for a lower speed as the sail comes in. Two-speed winches typically are geared in one direction and not in the other. Geared two-speed winches are the same except they are geared in both directions. 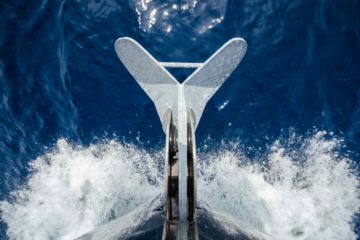 For the average cruising sailboat or daysailor, geared two-speed primary cockpit winches are the best option. This is especially true for single- or double-handed sailing. Winches come in different materials. The differences are primarily based on weight, quality, and price. 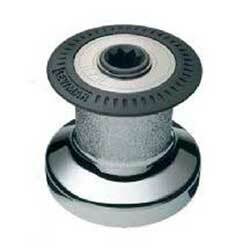 Super lightweight and affordable, anodized aluminum winches are a popular choice on sailboats. Bronze is extremely hardwearing, making it a good choice on sailboats. 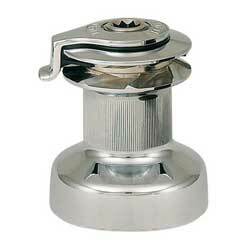 Bronze was the traditional material for winches but it looks outdated on modern yachts. Chromed bronze makes the most of the durable bronze but adds a modern look with a chrome outer layer. These are pricey but excellent winches. 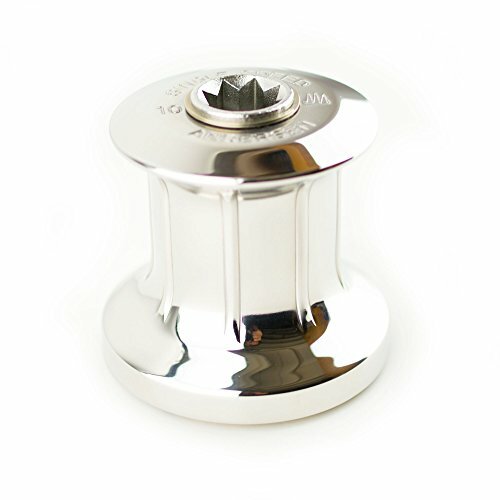 If you’re looking for the best and most durable winches, stainless steel is the way to go. It also looks great and it’s extremely strong. 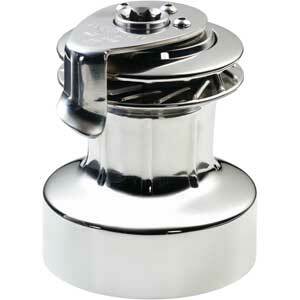 If you look after your stainless steel winches, you may never need to replace them. Composite boat parts are increasing every year although many traditional sailors prefer metal. Composites are actually very strong, very durable and are impervious to corrosion. The main composite material used in winches (and seacocks) is Marelon. Expensive, but you’ll probably never need to replace them. Manual winches work by human strength combined with mechanical leverage. 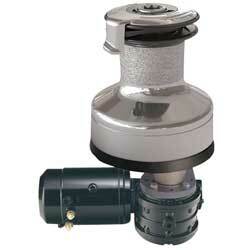 For small sailboats, the average sailor will be perfectly happy with manual winches. However, electric winches are becoming more popular and can certainly be of benefit. Electric winches have a motor placed above-deck or below-deck. Using buttons, electric winches grind the rope for you and some will even release it for you as well. The main downside of electric winches is their power consumption. As a sailor, you obviously don’t want to be forced to run your engine often just to charge the batteries for your winches! Always check your house battery capacity and work out how much power the winches will use on your typical sailing trips. Electric winches also have the capacity to act as manual winches in combination with a standard winch handle. 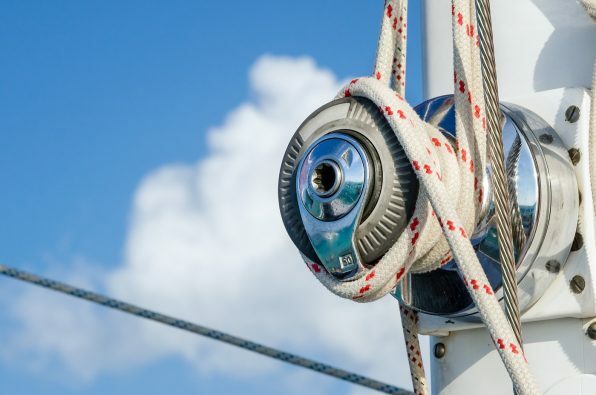 This is important because if your batteries or electrical system fails, it’s imperative that you are able to still operate your winches if you’re under sail. Some sailors want manual winches but would like to have the option to convert those winches to electric. Winches can last many decades and as sailors age, having the option of electric conversion can be reassuring. Size is another important consideration and is based on boat size and sail area. You can often determine your winch size merely by your existing winches but the main providers also provide charts. 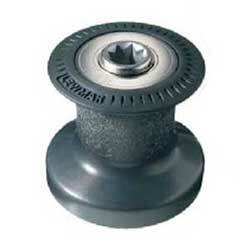 Lewmar winch size chart is an excellent resource as is the Harken winch size guide.